Safety at the Navarra Circuit is our priority and we guarantee it both for riders and visitors who come to our facilities. To do so, we have facilities and provisions approved by the Government of Navarra and the International Automobile Federation, with the best technology in electro, airway and pharmacology. There are two resuscitation beds with the best material necessary to give simultaneous attention to critical patients with maximum security as well as a box for severely burned if necessary. The Navarra Circuit has a medical team carefully selected, composed of doctors and nurses which include, anaesthesiologists, intensivists and emergency experts with extensive experience at both medical and human level. 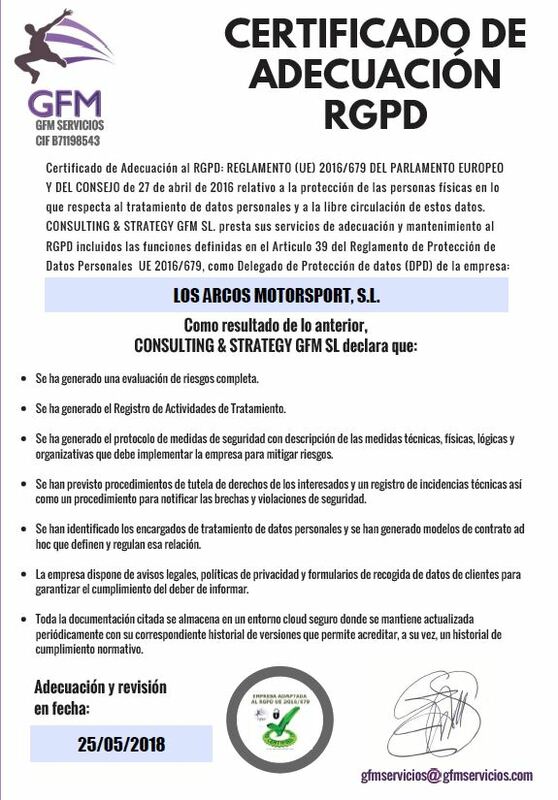 The Navarra Circuit is endorsed by both public and private hospitals that are located in Navarra, capable of taking care of the pathologies resulting from high speed. Our interest in safety has led us to declare the circuit as “cardioprotected zone” where there are semiautomatic defibrillators distributed strategically and trained personnel for the initial care of a cardiac arrest. The medical service of the Navarra Circuit is committed to continuing training, as they attend courses organized annually by the FIA (International Automobile Federation) to develop and refine extraction systems and attention to drivers. The medical team of the circuit is constantly bringing new ideas for innovations in patient care, and all treatments are based on international updated guidelines for critical patient treatment. In the 2011 season, the Medical Center and health management of the Navarra Circuit was assessed with the highest score awarded by the Evaluation Committee of the FIA World Championships. The Medical Service of the Navarra Circuit is considered an example.